Tree removal can be a costly undertaking, which is why many people who are only looking to remove a small number of trees do it themselves. One way to get rid of a tree is to dig it up and haul it away or break the wood down into fire logs or mulch. Digging up a tree can be a strenuous activity, however, and one that's easier said than done, especially if you're dealing with a large tree. Fortunately, there are some easy and effective methods for removing trees that don't involve digging and require you to attack the roots and stump. 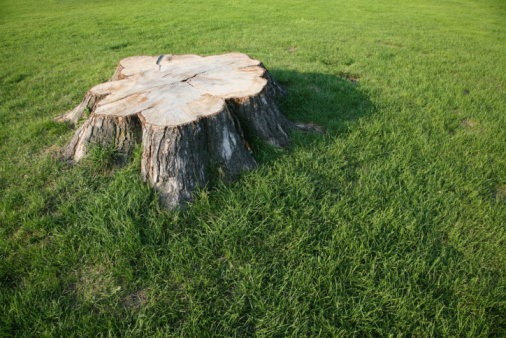 Before you begin removing a tree from your yard or any other piece of land, you'll want to saw it down to as close to the stump as possible, which will help it die off faster and will make removal much easier. One way to kill a stump is by purchasing a stump killing herbicide, which may be convenient but is not always recommended. 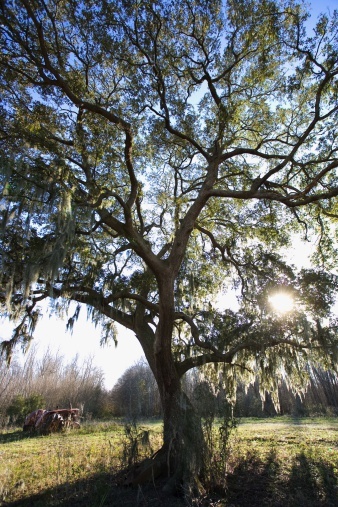 These herbicides are highly toxic poisons and can have a lasting, negative effect on the environment around the tree. Instead, you can kill a stump naturally by destroying the root system underneath it, which will essentially starve the plant to death. There are several ways to kill the root system of a plant. A natural way to do so is to deprive the roots of water, which will cause both the roots and the tree stump to dry out. Epsom salt is a great way to dehydrate a tree that's not only cost effective but also safe for the surrounding area thanks to the magnesium found within it, which other plants can use over time to help assist with photosynthesis. Another way to kill a tree trunk with roots is to overfeed it with fertilizer like potassium nitrate, which contains potassium and nitrogen, two minerals that plants need to survive. Too much of these minerals, however, can prevent other important vitamins and minerals from being absorbed by the plant, which will eventually kill it off. This is a great deep-root tree stump killer known as fertilizer burn. In order to administer either of these root and stump-killing minerals, you'll need to create direct access to the roots and center of the stump. This can be done by drilling several small holes about one foot into the stump near the outer edge as well as drilling 3- to 4-inch holes around the perimeter of the stump that run into the holes that were drilled from the top. This will create a system that allows for maximum absorption and will also help the rotting process along. Once your holes are drilled, simply pour your material inside the holes and fill the holes with water. Once your tree stump and roots have been killed off, you can remove the remnants by burning the stump away, assuming your tree is in an area where this is legal and safe to conduct. To ensure additional safety measures, remove any possible fire kindling from the area, like dead leaves or small twigs, and fence in the stump with wire, a wall of rocks or other fireproof material that will prevent the spread of flames. Then, soak the stump in kerosene or fuel oil by pouring some into the drilled holes, and wait until the stump has soaked through entirely, which could take days or even weeks to complete. When it's soaked through, simply drop a lit match onto the stump and let the flames do the work. Be sure to keep a careful eye on the stump during and immediately after the burning process, as it can continue to smolder for several days depending on the size.